Lake Agnes is a small mountain lake in the Banff National Park of Alberta, Canada. 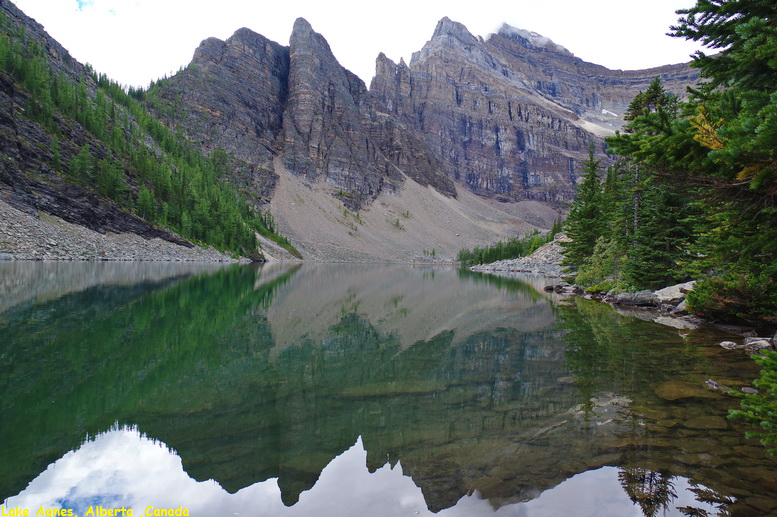 It has a surface of 0.52 km² and is located approximately 3.5 km hiking distance from Lake Louise. The Little Beehive can be ascended to the east of Lake Agnes. At the top, there are excellent views of the Continental Divide. The Lake Agnes Tea House is situation on the eastern shores of the lake.